Business owners, homeowners, landlords, anyone who owns property that uses electricity in Sonoma County: It’s time for a change! Switching to solar power may be just what you need to save money and do your part to keep our environment clean. We at West Coast Solar are the team to call when you’re ready to invest in renewable energy! The day the bills arrive is probably the hardest day of the month, and we get it. Electricity bills for California residents are through the roof, especially in Sonoma County. That’s why solar energy system owners are confident in their switch to green energy: they pay smaller—if not nonexistent—power bills. As time goes on, their solar system stores this energy for future use. This means when fossil fuel powered energy prices can fluctuate as much as they want, and the solar power homeowner will use their stored energy. Of course, the tax credit is one of the top perks. After all, you can earn back 30 percent of what you paid on all aspects of your solar installation, including labor, project planning, and all parts of your new solar array. This only is set to last through 2021, so make sure to act now. So many of the property owners who work with us feel excited and fulfilled knowing that they have done their part to contribute to the environment. You can generate your own renewable and clean energy right on your property. With this newfound independence, you eliminate your reliance on foreign sources of power, including fossil fuels, which cause an astounding amount of pollution. The idea of avoiding energy bills is attractive, but what if your utility company started paying you? With the proper equipment and a battery with more storing power than you strictly need, you can generate extra solar power on a daily basis. When you connect your system to the grid, you can start to sell your unused energy back to your utility company. It should be noted, though, that you won’t be able to sell back to the utility company if you don’t first invest in the safety and measurement equipment required. Reach out to your utility company beforehand and inquire what their requirements are, how much they’ll pay you for each unit of clean energy and if they have a cap on how much they’ll buy back from you. 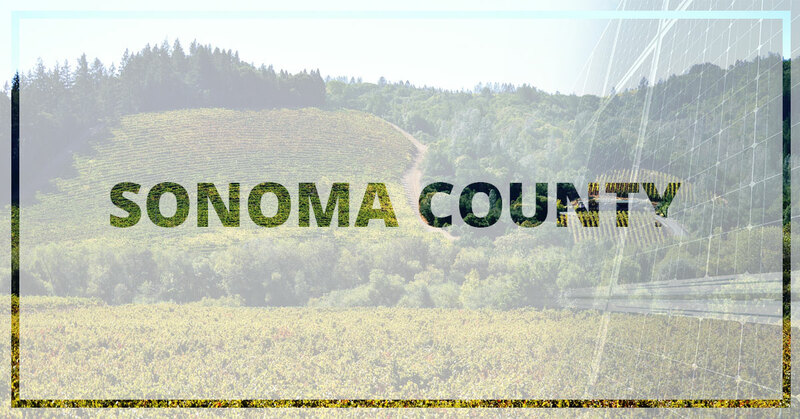 A cleaner, happier world starts right here in Sonoma County. If you have a concern for our environment and the health of our earth, installing a solar panel system is one of the best steps you can take. Contact us today! We can’t wait to work with you to create a custom solar panel system for your home or business.